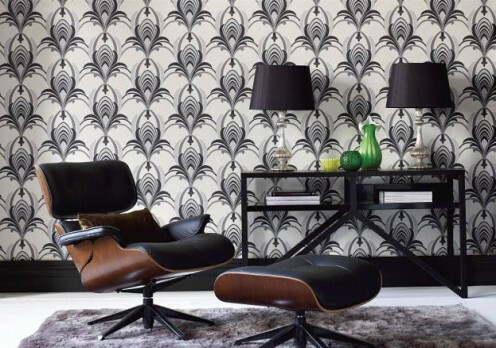 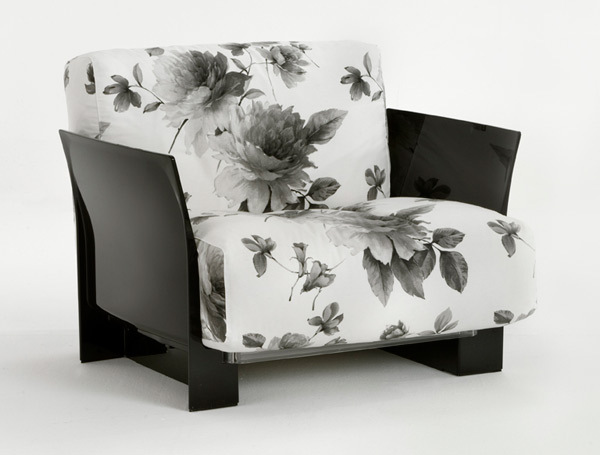 Pop is the name of this famous armchair, created by Piero Lissoni and Carlo Tamborini for Kartell. This year the armchair looks different. 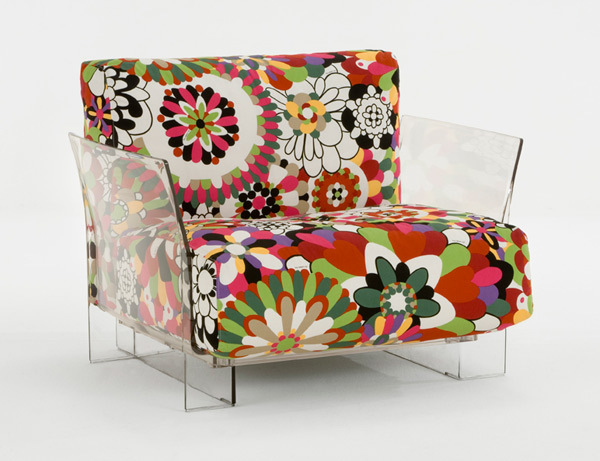 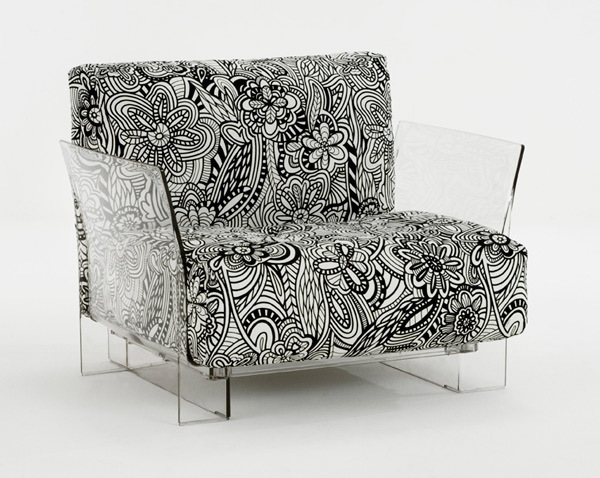 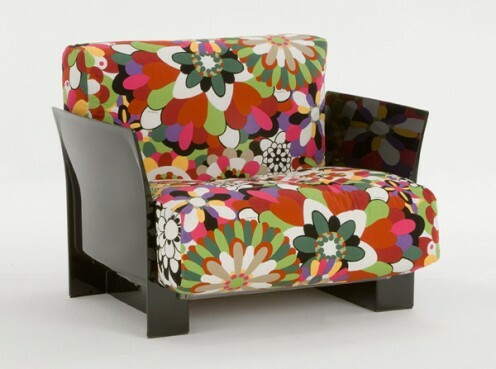 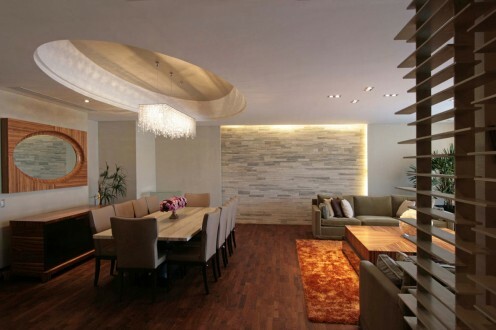 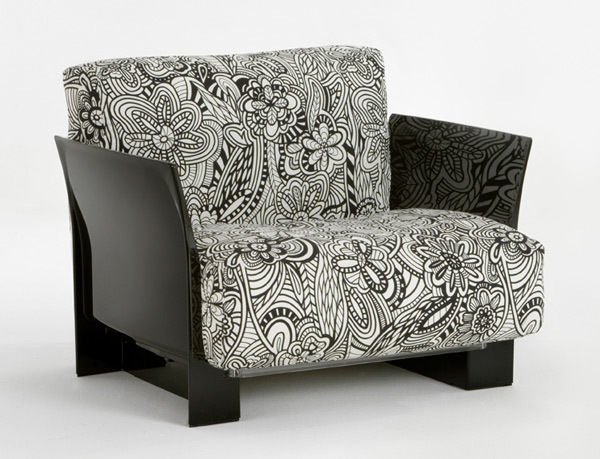 The company added to the palette of the Missoni upholstery new fabrics with splendid flowers – Kyoto and Kunming. 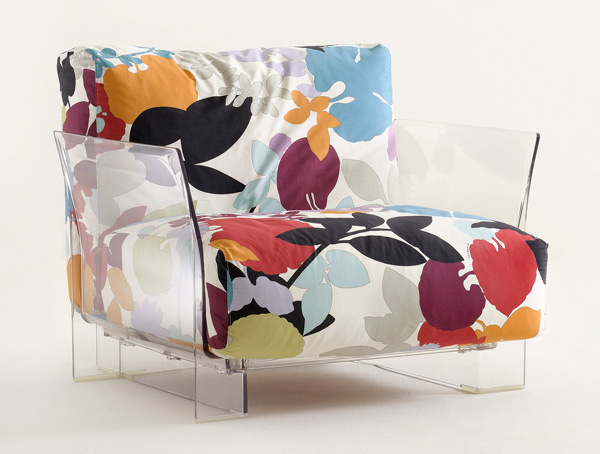 I like the new Pop much more than the previos clear verion, because the flowers bring so much life in the interior.